Washington, May 15 (IANS) An Indian-American man is facing trial for shooting down his 62-year-old father in his home in a North Carolina city, a media report said. 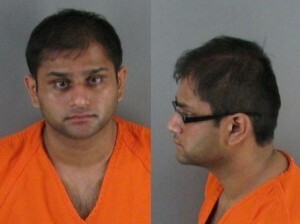 Jiten Patel, 29, has been accused of killing his father Ashwin Patel intentionally in a drug binge in his home in Mount Holly city, a suburb of Raleigh in the US state of North Carolina in January last year, The Gaston Gazette reported. The Gaston County Court Wednesday heard the testimony from investigators and forensic scientists who found Jiten Patel’s DNA on the handgun that killed his father. Ashwin Patel’s body was found in his house with several gunshot wounds. The police also noticed blood on the outside lock of the BP gas station owned by Ashwin Patel. The police identified Jiten Patel as a suspect in the killing and took him in custody. Jiten Patel, reportedly a drug-addict, has been charged with first-degree murder, breaking and entering and larceny. In his defence, he contended that he acted in self-defence. Jiten Patel’s clothes were stained with his father’s blood, and his shoes left bloody footprints on the carpet of the Mount Holly home, scientists testified Wednesday. Two people also testified to be in Jiten Patel’s company the night the murder took place. The two witnesses for the prosecution said they noticed that Patel had an injured hand that was wrapped in a towel or T-shirt. They said that they were at a friend’s house with Patel later that night and that he gave no indication that his father had been killed.